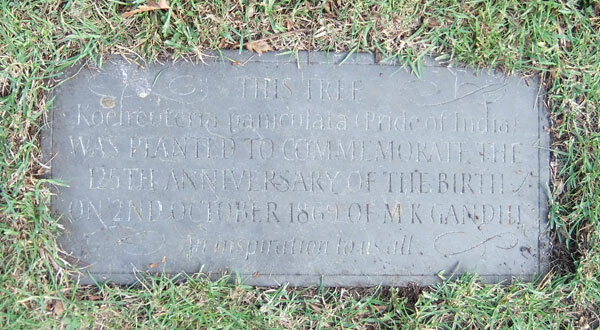 The above slate plaque is set into the grass in the University Parks, near the gate opposite Keble. 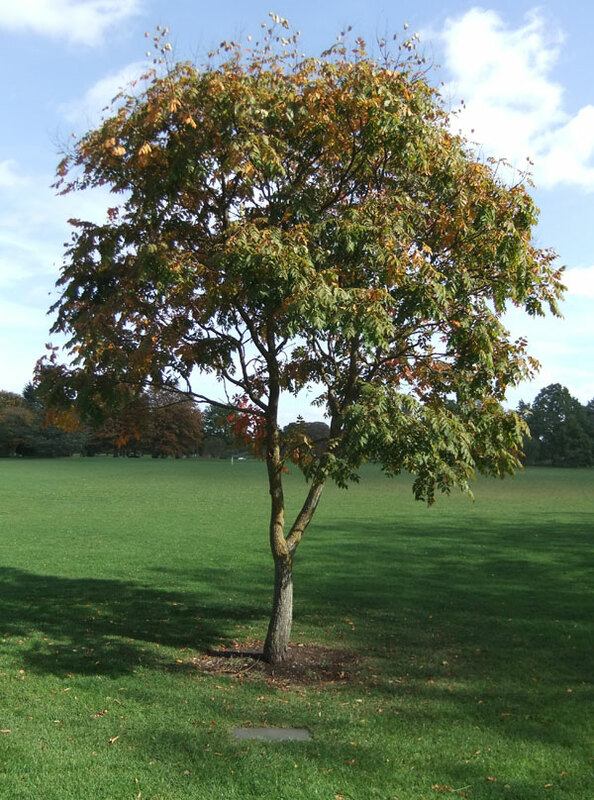 The Koelreuteria Paniculata tree in question can be seen below, with the plaque in front. It was planted in 1995, and the plaque was unveiled on 13 July 1999. It was the first time permission for a plaque in the University Parks had ever been given. The plaque was designed and crafted by local sculptor Martin Jennings and unveiled on 13 July 1999 by Richard Symonds, a scholar on commonwealth history, who knew Mr Gandhi personally, and worked with him on relief projects.